At The Amazing Blog office we truly enjoy snacking on the perfect crisp. But then again, who doesn’t? Ten Acre sent us a hugely generous hamper of their crisps, making our lunch break that much more enjoyable. No matter what kind of crisp your taste buds desire, this company can meet all of your salty cravings. Their flavours range from the standard plain salted crisps to sweet and sour, but what makes this brand so special is the lovely concept behind it. Based on a fictional ‘Ten Acre’ village, each flavour has a story to tell. From ‘When Bombay Got Spicy’ to ‘The Adventures of Salt and Vinegar’ each product is thoughtfully put together to create a slightly surreal and delicious snack with its own back story. 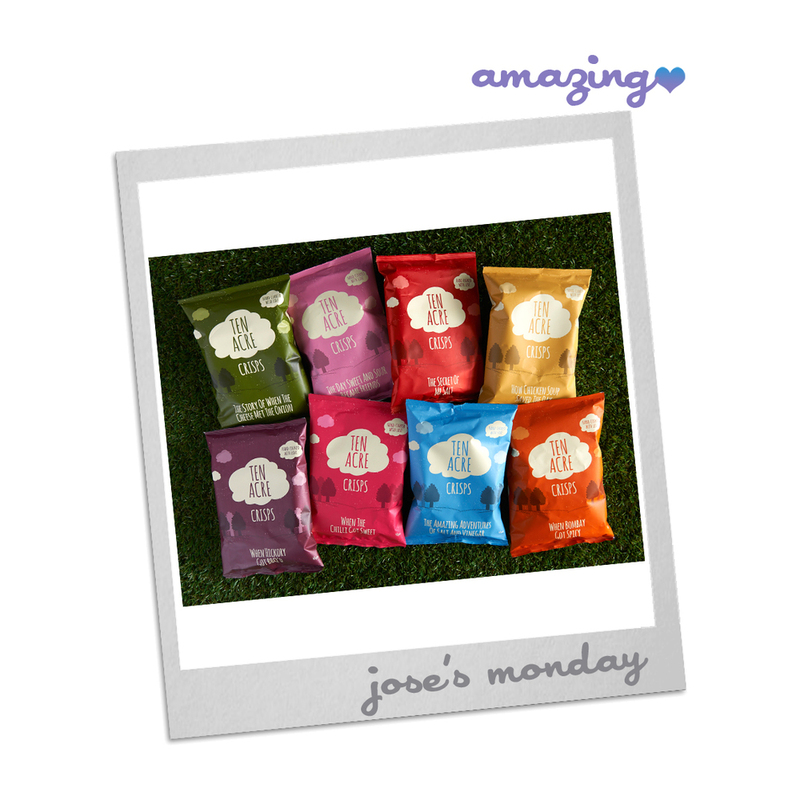 Hand cooked and hand packed, these crisps are gluten, dairy and msg free. If you are looking for a fun and tasty snack, Ten Acre Crisps can be bought here.